Win the Ultimate Hunter Valley Weekend Escape | Scarborough Wine Co. This experience is priceless as it’s only our special guests who get to experience the “home grown” welcome of our family cottage. Click here for terms and conditions. A delicious mix of some of your Springtime Scarborough favourites. The mixed dozen includes 3 x 2014 Verdelho, 3 x 2014 Pinot Noir Rosé, 6 x 2012 Yellow Label Chardonnay. Our newest release of the Yellow Label Chardonnay will continue to please all those fans of the style. Released with bottle maturity this delicious, full-flavoured stayle of Chardonnay is matured for 12 months in french oak of varying ages and then released to you ready to enjoy! Our Offshoot Rosé is the same rosé that you know and love, but with a brand new look. This Offshoot Pinot Noir Rosé begins with aromas of red berries and rose petals followed by a juicy palate of strawberry and cream balanced by a touch of acidity. From red soils this is a more generous take on Hunter Valley Semillon. Nicely textured with lime and lemon intensity, some zesty freshness, and a long finish that drinks well on release and for up to two years. 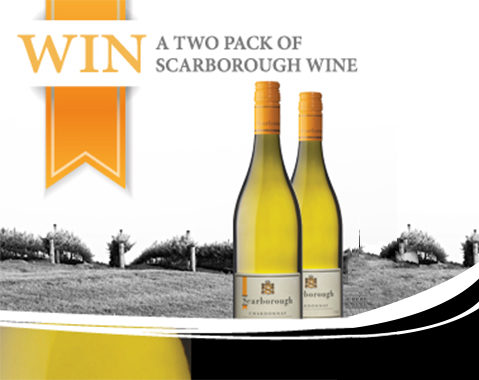 Go in the draw to receive a twin-pack Scarborough’s favourite wines. Not ready to purchase just yet? 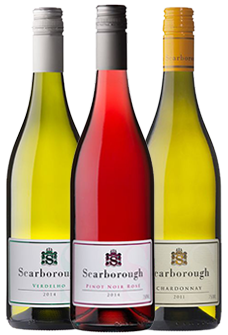 Sign up to Scarborough's eNewsletter and go in the draw to win a twin-pack of Scarborough's favourite wines. Because we'll send you newsletters jam-packed with promotions, events, Hunter news updates and more. Oh, and did we mention we're giving away a twin-pack of Scarbie wine each week?